Whatever the federal retirement income program looks like in the future, it's not going away, and the RICP designation is thriving. That’s the message from Social Security’s trustees in their annual report released last week, saying the federal program is in better shape than last year, and they’re supported in that message by financial advisors who routinely use Social Security as part of their retirement income planning for clients. On Wednesday, the trustees said in their 2015 annual report that 42 million retired American workers received Social Security payments in 2014, while 166 million Americans still in the work force paid taxes to keep the program in operation. Total expenditures were $859 billion, and total income was $884 billion. Social Security is healthier this year because the economy is stronger and workers’ wages are rising, the trustees said. While the nation’s program for disability benefits is a concern, last year the overall system surplus of taxes and interest totaled $25 billion, adding to trust funds held in $2.8 trillion of Treasury bonds. But for the program to remain solvent over the next 75 years, the trustees urged Congress either to raise the payroll tax rate by 2.62 percentage points to 15.02 percent from its current level of 12.4 percent or to reduce benefits by 16.4 percent to current and future beneficiaries or by 19.6 percent for people who become eligible for benefits in 2015 or later. For financial advisors who hold the designation of retirement income certified professional, or RICP, the trustees’ report comes as good news. Although the RICP designation is only three years old, it has become the top designation program for the American College of Financial Services. Roughly 1,500 financial planners have completed the program since May 2013, and 7,000 were enrolled in May of this year. The RICP program comprises college-level courses covering retirement income strategies, solutions and sources. One such source is Social Security, which will become available to most of the estimated 10,000 Americans who will reach retirement age every day for the next 16 years. American College’s RICP curriculum includes data on the optimal Social Security claiming age appropriate for each client’s situation. Professor Jamie Hopkins, associate director of the American College’s Retirement Income Center who teaches in the RICP program, said in a phone interview that he read the report and didn’t see much change for Social Security between 2014 and 2015. While Social Security may look different in the future, it’s not going away, Hopkins said. It’s a key part of retirement income planning, so even though there are funding problems, the U.S. government will continue to fund some form of retirement benefits, he said. For RICPs like Travis Chance, of Chance Financial Group in Statesboro, Georgia, Social Security is an essential retirement income source. “If you’re like most people, qualified-retirement plans, Social Security, and personal savings and investments are expected to play a role,” Chance says on his website’s retirement planning page. To be sure, the Social Security Administration itself shows no sign of going away. As the program approaches its 80th birthday in August, SSA is celebrating its second national “My Social Security Week” by promoting its online benefit management tool for American workers and retirees. 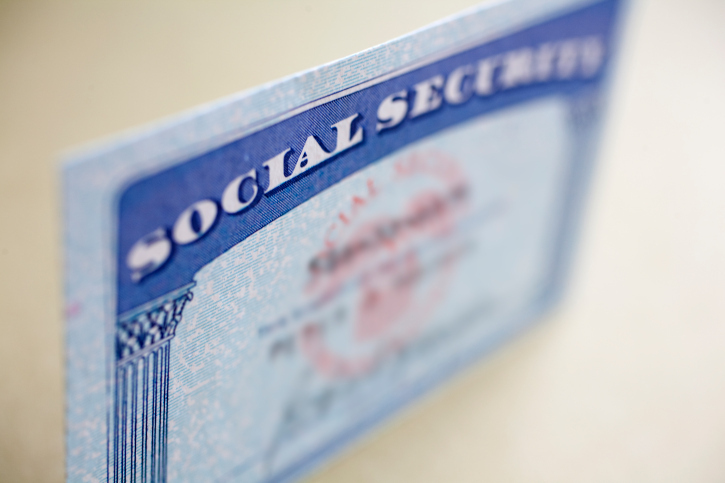 As of July 19, more than 20 million people have created personal online Social Security accounts.